That has been the title of over a half dozen e-mails I have sent to the members of various nonprofit Boards and groups that I belong to and want to make aware of my intention to run for office. I'm excited that after today the vague references fall away and I can begin running the campaign that we have been working on for the past six weeks. There is so much that goes into starting a campaign. I should have assumed (or known) as much by now, but the experience has nevertheless been eye-opening. As I said when I started out, I want to share this process with you in the same way I have shared so many things in the past. So many campaigns exploit and promote the distance between candidate and electorate and I have no doubt that there are good reasons for doing so. This will not be that kind of campaign. More on that tonight. As for starting up - first, you need to decide you want to run. That is such a basic decision, but you can't be "kinda sorta running"; you need to be all in. I don't think I will ever look at an "exploratory committee" the same way again. The moment I decided to run, I immediately became determined to that goal. 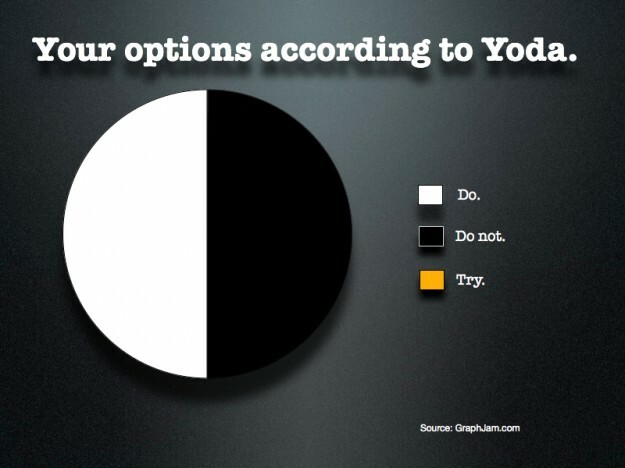 "Do or do not. There is no try." Second, you need to find people to help you. Not just because it is easier to take on large tasks as a team, but also because you explicitly need a second person to be your Treasurer. I've been blessed with good friends and family who hold the same aspirations I do and are not only competent, but excel in skills necessary for putting on a campaign. We will need more help, but having partners early in the campaign has been absolutely critical to getting this off the ground. Just as critical is having mentors to show you the way. Third, you need "sit downs" with community leaders to let them know you're running and hear their concerns, advice, and, hopefully, earn their support. This is a matter of respect. No one asks "permission" to run for office, but you need to know where you stand, what coalitions will be ignited against you, and where you may find a base of support. I also made sure to meet with at least one of the individuals considering a run for the same position, to let them know who I am and why I am running. Fourth, paperwork. Admittedly, it has not been overly burdensome in the first month, but it is necessary to dot all the i's and cross all the t's lest you stumble out of the box, incur fines, and otherwise besmirch your nascent campaign in the eyes of the political community. I am happy to report that "Friends of Tom Coale" was established with all of the appropriate State bodies and with Howard Bank. Fifth, brand, design, and produce. As much as I make fun of people running to "get their name on a bumper sticker", it was fun seeing the first round of campaign signs. Same is true for the website that will be released tomorrow. "How things look" is important, particularly for a first time candidate. You want people to be able to take pride in supporting you, not only for the ideals you represent, but also the ability to identify with the branding of the campaign. I think we've done so and can't wait to share those designs with you tonight. Generally, there has also been the exceedingly difficult transition of "being a Candidate" and, as far as most of you are concerned, that hasn't even happened yet. Above all of this is "Why I'm Running". It wakes me up in the morning and keeps me up at night. I would not be putting myself through any of this if I didn't have passion driving the train. I am starting out with no smaller goal than changing government as we know it and bringing community engagement to the next level. I'll have the chance to tell you more about that tonight. Have a great Tuesday doing what you love. I know I will.